Running & Field Events Start 3:30 P.M.
Students will have an early dismissal (ED) at 2:00PM. There is no school provided transportation for this meet, please coordinate transportation for your athlete. School Administration has asked us to remind parents that it discourages students giving other students a ride. If you are having your student athlete get a ride from another student, you must have a note from a parent of both parties authorizing this. Additionally, please remember California State Law requires a driver have their license for 1 year prior to driving with others in the vehicle. The Meet will be a rolling start format. We have added estimates of starts to the order of events but these can change significantly, especially as the meet progresses. 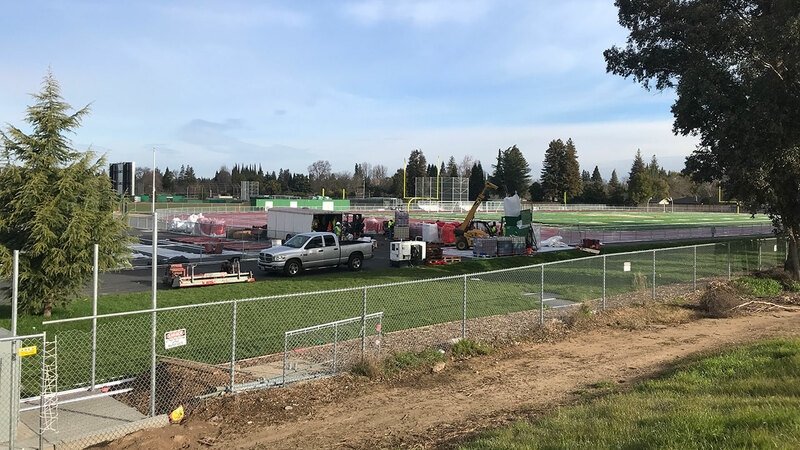 We anticipate the availability of the Rio Americano Track and Field Facility any day now and are awaiting the final go ahead from school and district administration. As soon as we get the ok we will have all practices move to Rio. Please be on the lookout for a location update. Sprint & Field Events Group Practice – Rio Americano H.S. 2:00-3:30 P.M.
We are co-hosting the CAL League Championships at El Camino H.S. on May 2nd. This is a huge undertaking and we need parents to volunteer to help make it a success! Please sign up for a volunteer spot here, no experience necessary. Tuesday, April 23rd – We will have our Second Capital Athletic League Meet at Del Campo High School (4925 Dewey Drive., Fair Oaks, CA). This is a FULL TEAM meet which all athletes will be entered into at least one event. This will be an Early Dismissal Day for athletes as the meet starts at 3:30 p.m. There is no school provided transportation for this meet, please coordinate transportation for your athlete. We will communicate the meet details on Monday, April 22nd with Early dismissal, Team Roster, and Order of Events information. Friday, April 26th – The 13th Annual SacTown Races at Whitney High School (701 Wildcat Blvd., Rocklin, CA) This is a Frosh / Soph Athlete meet. This will be an Early Dismissal Day for competing athletes as the meet starts at 3:30 p.m. There is no school provided transportation for this meet, please coordinate transportation for your athlete. Thursday, May 2nd – We will have our Capital Athletic League Championship at El Camino Fundamental High School (4300 El Camino Ave., Sacramento, CA). This is a FULL TEAM meet which all athletes will be entered into at least one event. We would like all athletes at El Camino High School by 2:00! This is the Final meet of the season for the majority of our Student Athletes! The top finishers at this meet will move on to compete at the Section Trials. There is no school provided transportation for this meet, please coordinate transportation for your athlete. Field Events Start 3:30 P.M. / Running Events Start 4:00 P.M.
Students will have an early dismissal (ED) at 2:00PM. There is no school provided transportation for this meet, please coordinate transportation for your athlete. School Administration has asked us to remind parents that it discourages students giving other students a ride. If you are having your student athlete get a ride from another student, you must have a note from a parent of both parties authorizing this. Additionally, please remember California State Law requires a driver have their license for 1 year prior to driving with others in the vehicle. We will have a tent set up in bleachers for athletes and parents to be together and cheer on the team. Look for the Rio Raiders tent! The meet will be a rolling start format. We have added estimates of starts to the order of events below but these can change significantly, especially as the meet progresses. The weather forecast is calling for rain again this week. Please make sure you have signed up for Remind here in case we make any last minute schedule changes. We strongly encourage all athletes to attend practice at El Camino on the days assigned for their discipline/event; however, we understand that transportation may be an issue for some. We will have at least one coach remain at Rio for any athletes that can’t make it to El Camino due to transportation issues. 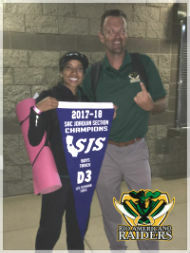 Sprint & Field Events Group – Rio Americano H.S. 3:15-4:45 P.M.
Sprint & Field Events Group – Rio Americano H.S. 2:00-3:30 P.M.
We will be having our team picture day on Friday, April 5th. Athletes will need to bring their uniforms to practice for the team picture. Order forms can be picked up at practice this week as well as at Coach Boler’s office. 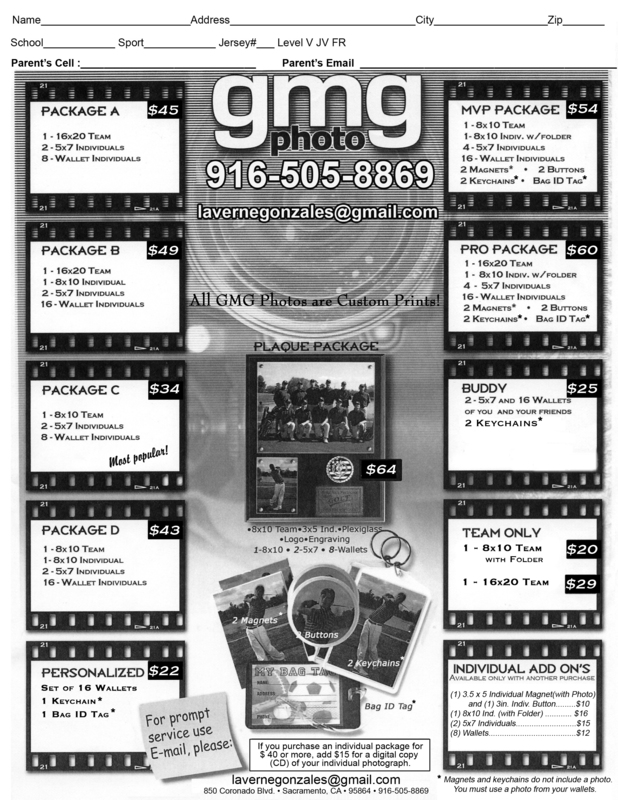 You may also download the Picture Day flyer here. Saturday, April 6th – We will be participating in the 26th Annual Thunder Invitational at Rocklin High School (5301 Victory Ln., Rocklin, CA 95765). This is a meet with four levels of competition – Varsity girls/boys and JV girls/boys. It is possible that due to some limited entry space we will not be able to enter all athletes. This is an all-day event with the first event starting at 9:00 am. If your athlete can not attend they must let their coaches know by April 2nd. Tuesday, April 9th – We will have our first Capital Athletic League Meet at Capitol Christian High School (9470 Micron Ave., Sacramento, CA). This is a FULL TEAM meet which all athletes will be entered into at least one event. This will be an Early Dismissal Day for some athletes as the meet starts at 3:30 p.m. There is no school provided transportation for this meet, please coordinate transportation for your athlete. It is important athletes who cannot attend let their coaches know as far in advance as possible. Saturday, April 13th – We will be participating in the Halden Invitational at Davis High School (315 West 14th Street, Davis, CA). This is an exciting and unique meet format. The meet will begin at 10 am with Sprint and Field Events and will conclude with a Distance Carnival which begins at approximately 4:30 pm. This meet will have 4 divisions (FSG/FSB & VG/VB) for Sprints, Hurdles, and Field Events. There will be 2 Divisions (VG/VB) for the Distance Carnival Events. It is possible that due to some limited entry space we will not be able to enter all athletes. This is an all-day event with the first event starting at 10:00 am. If your athlete can not attend they must let their coaches know by April 8th. The new athletic field is in the final stages! We are awaiting final word on the date we can start training in our new facility, we anticipate no later than mid April…hopefully sooner! Check out the latest progress video by parent volunteer, Ron Salvatori. The weather forecast is calling for rain in the upcoming week. Please make sure you have signed up for Remind here in case we make any last minute schedule changes. We are fast approaching the meat of our season, with April comes a full schedule of competition. We have a 14 day span where we have a total of 4 meets including the first of 3 league meets. Friday, March 29, 2019 – Saturday, March 30, 2019 – The Stanford Track and Field Invitational (641 East Campus Drive, Stanford, CA). We have 6 Athletes that were selected for this qualification only meet. This is one of the premiere track meets in California and we are excited for Lauren Calcagno (800M), Conner Ettinger (3200M), Ross Gowan (800M), Sophia Karperos (1600M), Reed Moore (800M), and Jack Pallesen(800M)! Saturday, April 6, 2019 – We will be participating in the 26th Annual Thunder Invitational at Rocklin High School (5301 Victory Ln., Rocklin, CA 95765). This is a meet with four levels of competition – Varsity girls/boys and JV girls/boys. It is possible that due to some limited entry space we will not be able to enter all athletes. This is an all-day event with the first event starting at 9:00 am. If your athlete can not attend they must let their coaches know by April 2nd. Tuesday, April 9, 2019 – We will have our first Capital Athletic League Meet at Capitol Christian High School (9470 Micron Ave., Sacramento, CA). This is a FULL TEAM meet which all athletes will be entered into at least one event. This Will be an Early Dismissal Day for some athletes as the meet starts at 3:30 p.m. There is no school provided transportation for this meet, please coordinate transportation for your athlete. It is important athletes who cannot attend let their coaches know as far in advance as possible. Saturday, April 13, 2019 – We will be participating in the Halden Invitational at Davis High School (315 West 14th Street, Davis, CA). This is an exciting and unique meet format. The meet will begin at 10 am with Sprint and Field Events and will conclude with a Distance Carnival which begins at approximately 4:30 pm. This meet will have 4 divisions (FSG/FSB & VG/VB) for Sprints, Hurdles, and Field Events. There will be 2 Divisions (VG/VB) for the Distance Carnival Events. It is possible that due to some limited entry space we will not be able to enter all athletes. This is an all-day event with the first event starting at 10:00 am. If your athlete can not attend they must let their coaches know by April 8th. The construction crew continues to make progress on completing our new athletic field. The lines have been painted and they are continuing to work on other markings and finishing up. We have not gotten final word on completion but we are getting close, hopefully the weather cooperates. The weather looks great for upcoming week. Please make sure you have signed up for the Remind class for late breaking news. Sprint & Field Events Group Practice – El Camino H.S. 3:30-5:00 P.M. Distance Group Practice – Rio Americano H.S. 3:15-4:45 P.M. Distance Group Practice – El Camino H.S. 3:30-5:00 P.M. Distance Group Practice – El Camino H.S. 3:00-4:30 P.M. The Lancer Invitational at Cordova High School has: JV Boys/Varsity Boys/Varsity Girls divisions, allowing most but not all athletes to compete. We are finalizing our entries and will have an informational meet communication sent out by Thursday (3/14/19) which will include our competition roster as well as meet timeline. Your athlete should know what events they have been entered in by Thursday. On Saturday, March 16, 2019, the Dublin High School track team hosts its 12th Annual Distance Fiesta at Dublin High. The meet features distance races of 800, 1600 and 3200 meters as well as an invitational style Distance Medley Relay. This is the largest distance event in the country with over 120 schools competing. The DDF is an all-day event with the Distance Medley ending around 10PM. We are finalizing our entries and will have an informational meet communication sent out by Wednesday (3/14/19) which will include our competition roster as well as meet timeline. Construction crew made big strides Friday by tarping off the stadium in preparation of final top coat “blasting,” then will paint lines and marks, etc. Follow the progress of the field on YouTube (videos courtesy of parent volunteer, Ron Salvatori). View video playlist on YouTube. The Weather has been a challenge for us over the last couple of weeks, requiring us to cancel or change location for practice. If there is a last minute change to the practice schedule Coach Boler will post practice information on the whiteboard outside his office as well as have an announcement made over the school PA during lunch. Additionally, we will send out a Remind Notice to inform everyone of time-critical information. Please make sure you have signed up for the Remind class. Title IX Invitational @ American River College – Meet Starts @ 10:00 A.M. The Title IX Invitational is a fun early season meet held at American River College. This meet has a Freshman and Varsity Division which will allow our new Track & Field athletes a great opportunity to participate in their first High School Meet. We are finalizing our entries and will have an informational meet communication sent out by Thursday (3/7/19) which will include our competition roster as well as meet timeline. Your athlete should know what events they have been entered in by Tuesday. https://riotrackxc.com/ is our up to date source for RIO Track & Field information! Please bookmark and visit often. We will also have a weekly email communication as well as the use of the Remind App to keep you informed. Please sign up and spread the word! Go to the Rio Track and Field Mailing List and sign up to be on our email communication list. Additionally, you may visit the Rio Track and XC Remind page to add your email or cell number to the Remind contact list. We will be using our website as well as a weekly email for updates. The Remind platform will be used for time sensitive communications. We strongly encourage all athletes to attend practice at El Camino on the days assigned for their discipline / event however, we understand that transportation may be an issue for some. We will have at least one coach remain at Rio for any athletes that can’t make it to El Camino due to transportation issues. MONDAY (2/25) – Sprint & Field Events Group Practice at ECHS from 3:30 – 5 p.m. Distance Group Practice at RAHS from 3:15 to 5 p.m.
TUESDAY (2/26) – Full Team Practice at RAHS from 3:15 to 5 p.m.
WEDNESDAY (2/27) – Sprint & Field Events Group Practice at ECHS from 3:30 to 5 p.m. Distance Group Practice at RAHS from 3:15 to 5 p.m.
THURSDAY (2/28) – Sprint & Field Events Group – 2 – 3:30 p.m. Distance Group Practice at ECHS from 3:30 to 5:00 p.m.
FRIDAY (3/1) – Sprint & Field Events Group Practice at ECHS from 3:30 to 5 p.m. Distance Group Practice at RAHS from 3:15 to 5 p.m. Distance Group Practice at RAHS from 3:15 to 5 p.m.
SATURDAY (3/2) – CSUS High School Track Classic. California State University, Sacramento. Meet starts at 10:00 a.m. This is a highly competitive selection only meet, we expect about a dozen of our athletes will be accepted. Only the top 32 Athletes entered by all schools in each event will be selected. We have submitted our athletes marks and are waiting to hear from the meet organizer to see which of our athletes will make the cut and be entered in the meet. The Coaches will inform Athletes accepted into the meet by Thursday, February 28th. The Majority of our athletes will not be participating in this meet, however we invite and encourage all athletes to attend and take in the excitement of a high caliber selection meet held on one of the fastest tracks in the country.